Car Air Conditioning Reading Before we Regass your car or vans air conditioning system we will always check for leaks before we do this as your ac condenser may be faulty, or you may have a faulty air conditioning pump or a leaking ac pipe etc etc and if we do not do this then you as a customer may have wasted your money and this is bad customer service practice so we always do a ac leak check first on your cars ac system which we charge £35.00 for and if we find a problem with the system we will then give you a quote to fix the problem and if you decide not to go ahead with the quote we then just charge you £35.00 for our time to tell you and diagnose the problem, sometimes it is good news and we just have to Regass the ac system and it has simply leaked out over time which we will then just charge £55.00 pounds plus vat for this service which is guaranteed for 12 months or 12 thousand miles whichever is sooner. But sometimes the car we are working on has not been used for some time or the air conditioning in the car has never been used, these are the cases where a straight forward air con regass will not work, and this is normally the case, usually the latter as the symptoms can be a faulty air con pump or a faulty condenser or you may have a leak in the air con system somewhere which we will find and then give you a quote to fix the problem which you are not obliged to do, if you decide not to have the work carried out we will charge you a hours labour for our time but at least you will know what the problem is and how much it will cost to fix the problem. Car Air Conditioning Reading Repairing Recharging or Fixing Your Car’s Air Conditioning System Reading Should Be Left to the Experts. Your auto-mobile’s air conditioner can make the difference between a comfortable trip, and one which requires you to shower and change clothes upon arriving at your destination. Automotive air conditioning units are composed of many parts which need maintenance and repair like any other part of your vehicle. Make sure to have your car air conditioning reading charged and fixed before the hot weather arrives. If your A/C unit is blowing hot air or little to no air, then it’s time to have a professional step in take a look and fix it. A technician will outwardly investigate your hoses, lines, and seals to ensure there are no holes before proceeding with immoderate repairs. They’ll check temperature readings and examine your drive belt for harm or splits. The same air conditioning belt is utilised for a significant number of your Car auto’s capacities, so on the off chance that it’s broken, you could encounter significantly more mechanical issues than a hot and sweat-soaked drive. Specialists should likewise observe the compressor and take readings to check whether that is the culpable party that is bringing on the framework to glitch. Including or disposing of refrigerant can have a huge effect on the execution of your air conditioner, and this simply like any overhauling of the compressor, evaporator, or condenser is something just experts are prepared to do. While all real overhauling ought to be left to the experts, car air conditioning reading repair is maybe the most basic fix a beginner or expert could endeavour. The refrigerant utilised as a part of Car autos in Reading, typically two sorts of it which are imperceptible and dull in their vapor structure. Taking in these vapours or presenting yourself to them could bring about the bothering of the eyes, nose, and throat, and potentially even obviousness if not in an appropriately ventilated region. Blending these two gasses is additionally risky, as is warming them. 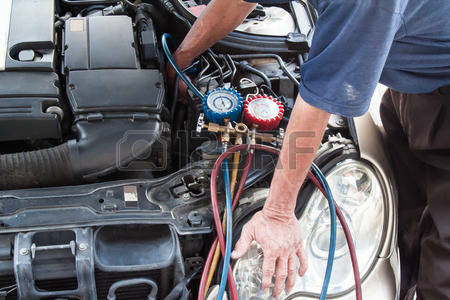 Numerous beginner mechanics utilise what’s known as the “light technique” in which they hold a light to the engine to check whether any Freon is spilling. This strategy is unbelievably unsafe, Exposing refrigerant to an open fire transforms it into a harmful gas known as phosgene gas. Whenever breathed in, phosgene gas can bring about the extreme respiratory harm that is not reversible or even demise. You’re cooling framework a confounded and unpredictable one including unsafe chemicals that require expert help. If you think there is an issue then take it to an expert, as a Freon hole is nothing to attempt and squeeze pennies on. Keeping cool isn’t just about your solace, it’s about the security of you and your travellers. Remember that children, pets, the elderly are always most at-risk, so if you suspect an A/C problem, call Reading Service Centre for an appointment or bring your car in to them today. Auto air conditioning systems that blow warm on one side and chilly on the other side typically have one of two issues. In this short auto repair article, an expert car specialist shares his experience, got from taking a shot at air conditioners in Reading for the last couple of decades. This free data can be similarly useful to the do-it-yourself-er as it is to a purchaser that knows the benefit of being educated with regards to managing auto repair shops. Perused on with the expectation of complimentary auto A/C help when the air is blowing warm on ONE side. Normally autos that blow chilly on one side of the dash and warm on the other side are commonly outfitted with a second zone atmosphere control framework. Double zone systems permit the driver and first traveller to change particular temperatures to their solace levels. There are two normal reasons for a temperature contrast when both sides are set to the coldest settings; let’s cover the first. Car air conditioning reading which utilize 134A, for the most part, hold a little measure of refrigerant contrasted with more established vehicles that utilization R12. Auto and truck air conditioners today are considerably more efficient than their more established partners. The way that 134A systems utilize less freon implies that a hole can all the more rapidly influence the execution of an HVAC (Heating Ventilation and Air Conditioning) framework. Because of the configuration of double AC systems, the low refrigerant is the main source of extreme temperature contrast from one side of the dash to the next. Indeed, even very much experienced auto mechanics might be shocked to discover that as meager as 4 to 8 ounces undercharged of 134A can have such a huge effect. The temperature from the left vent to the right event can change 10 to 20 degrees. The most straightforward thing to attempt is to finish off the framework or even better, evacuate all freon and energize the unit with the industrial facility determined sum. Much of the time after the best possible charge of Freon is in the auto; the temp will blow similarly as icy prefer it ought to on BOTH sides! Imagine a scenario in which that didn’t help. Perused on to learn of another conceivable reason for the issue. For information about charging car AC systems or purchasing air conditioning tools, like manifold gauge sets, vacuum pumps and other types of mechanics tools in the Uk, please visit our website for details.